For the 68th time, the Rockford Art Museum will put on the Greenwich Village Art Fair, an indication that summer is coming to an end in the Rock River Valley. Open your e-magazine now to learn more about Greenwich Village Art Fair. 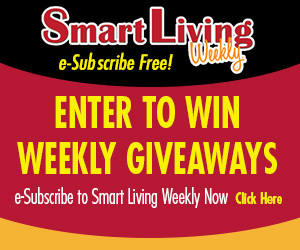 Congratulations to Chris Taskey of Winnebago, this week’s Smart Living Weekly giveaway winner! Chris takes home a $25 gift card to Greenfire, in Rockford. Next week’s giveaway is a $25 gift card to Bravo, in South Beloit. Enter now by visiting northwestquarterly.com/contest. This entry was posted on Wednesday, September 14th, 2016 at 5:00 am	and is filed under News & Events, Smart Living Weekly. You can follow any responses to this entry through the RSS 2.0 feed. Both comments and pings are currently closed.